As I watched this film, I often felt like the screenwriters had placed a hidden microphone in my home. True love. Romance. Exciting, intimate, emotional connection. Fulfilling, committed partnership. Joys and sorrows. Drama…tragedy…recovery…triumph. This one’s got real love and real life, folks. 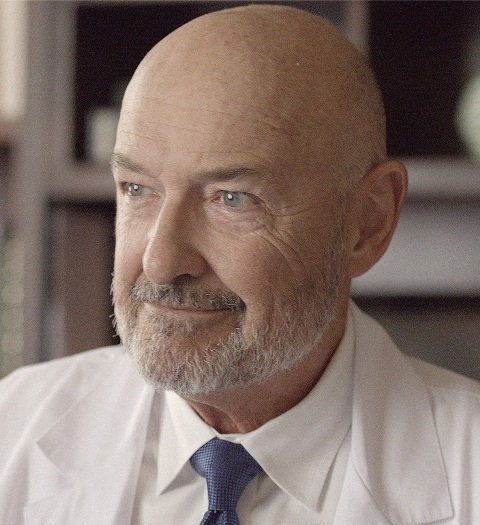 New Life stars include Jonathan Patrick Moore (TV’s Blindspot, Royal Pains, NCIS), Erin Bethea (Fireproof), and Emmy winner Terry O’Quinn (The Rocketeer, Places in the Heart; TV’s Lost, West Wing, Alias). Ben and Ava meet as children – next-door neighbors – and become best of friends. They date through their teen years. While Ava’s away at university, Ben’s jobs keep him back at home, limiting their communication. Things become rocky. Ava becomes attracted to a classmate, and is close to falling for him when, on a snack shop date, she realizes that Ben’s the one she loves. She makes a quick exit … suggesting that her bewildered suitor consider a backup babe, conveniently seated at a nearby table. Ben’s proposal (way cool; how’d he pull that off? ), their wedding, and new life together ensue. The marriage has its challenges. Work consumes Ben’s time and energies. The two quarrel and make up. But then, life throws a curve ball. Ava has cancer. My wife of sixteen years, Meg Korpi, died in June after a lengthy battle with cancer. I could relate well to much of Ava’s and Ben’s jolt-filled journey: Diagnosis, chemotherapy, losing hair, new lifestyle, a dizzying array of medical information, encouragement from friends and family, hope and disappointment. Ava’s cancer ebbs, then returns with a vengeance. Goodbyes to family and each other. Coping with the emptiness of losing a spouse. 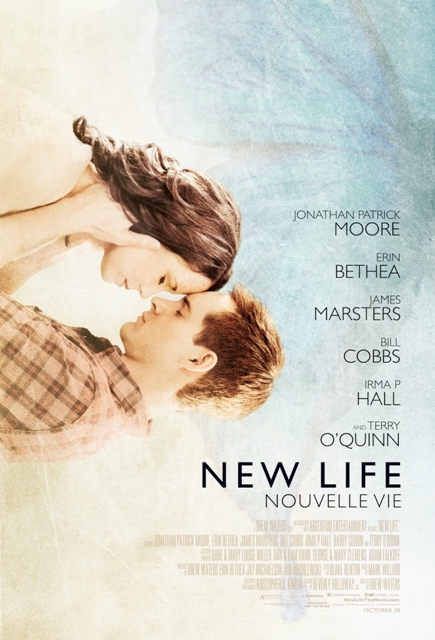 New Life is an excellent, moving portrayal of love’s kindling, flaming, and flickering, and of a cancer journey with one you love. I guess that hidden mic was not only inside our house, but also in Meg’s doctor’s offices, hospitals, chemo infusion clinics, our vacation spots, and more. The characters’ words and portrayals of angst and hope are authentic. It often seemed as if they’d been reading my mind and heart. Knowing you are loved certainly can provide hope and strength to face life’s challenges. And living life to the fullest has value. Of course, people have different ways of defining that. In our marriage, it meant inviting a third person into our relationship, a concept for which I’m indebted in many ways to my Jewish friends and their heritage. One ancient Hebrew book describes Job, who, despite his boatload of troubles, affirmed, “I know that my Redeemer lives.” That gave him hope. New Life will help you feel and see much of what real love facing tragedy can be. The film is fun, family-friendly, and deserves a wide audience. Editors: Note pictures below. For access to these images and more, check here, here, here, here, and here. Ava (Erin Bethea) and Ben (Jonathan Patrick Moore) are in love. These two really enjoy being married to each other. Rusty Wright makes his articles and audio/video resources available to editors gratis. All we ask is that you give proper credit, let us know when you post and/or translate our stuff, and link back to RustyWright.com. Click the Topics tab to see what is available. CNN’s ‘Redemption Project’: Could you forgive your loved-one’s killer? ‘Breakthrough’ movie: Miracle on Ice? History Channel’s ‘Jesus’ TV series: Who was he, really? Indivisible movie: Would your romance survive this? Interview with God movie: What would you ask? Rusty Wright is an award-winning author, lecturer and syndicated columnist who has spoken on six continents. His audiences have included academic, business and government leaders and university students. He has appeared on television talk shows in cities around the world, and also trains professionals in effective communication. Want to be kept abreast of future releases? Every month or so when we post new articles, we notify Internet editors of their availability via short emails. Just let us know and we’ll send you these email alerts. We send them blind to protect your privacy, and only to those requesting them.